The PIXL instrument has its x-ray head mounted on the arm of the Mars 2020 rover. 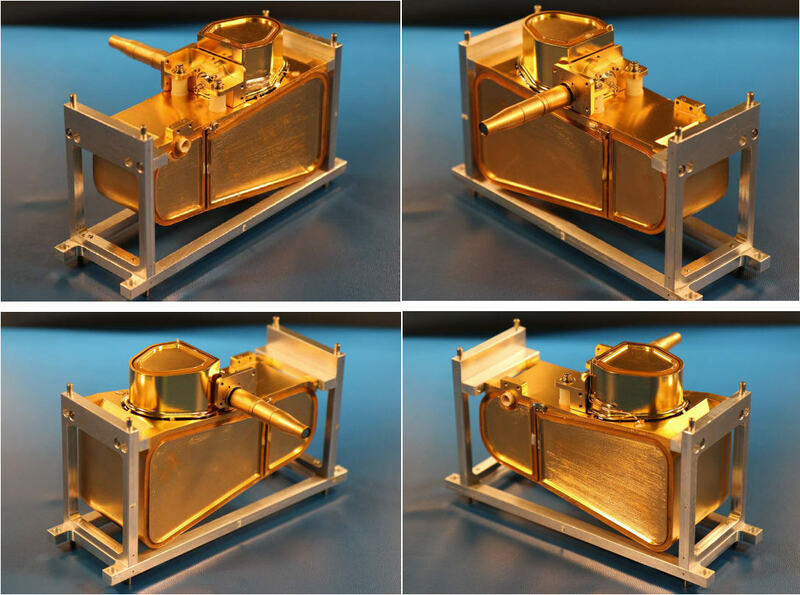 The instrument, used for x-ray lithochemistry of in situ rock samples, is being developed by JPL with the high voltage system developed by Battel Engineering and the University of Michigan. The high voltage module, shown mounted in its handling fixture, is the lower double wedge portion of the head. The miniature x-ray tube is located in the upper “turret” section and is attached to the capillary focus element that protruding outward from the module. The circular white connector that can be seen in several of the views is for the umbilical attachment from the LV control module in picture 4.